Posted 24th August 2012 by Myfanwy in Fun. 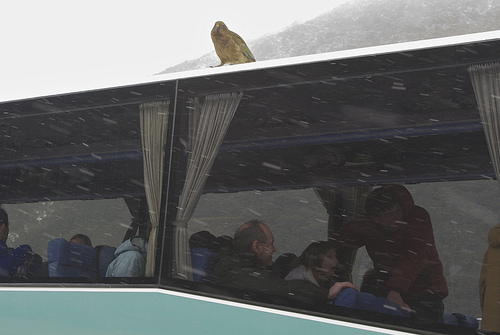 A bus stop’s a bus stop, right? 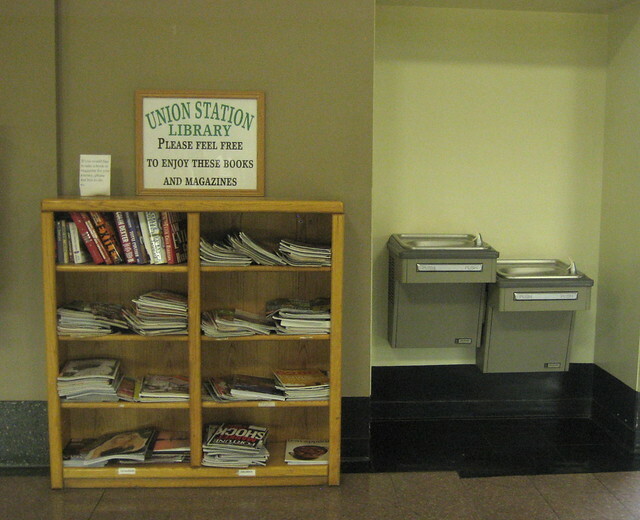 So long as it’s functional, accessible, and in a good state of repair, who’d complain? 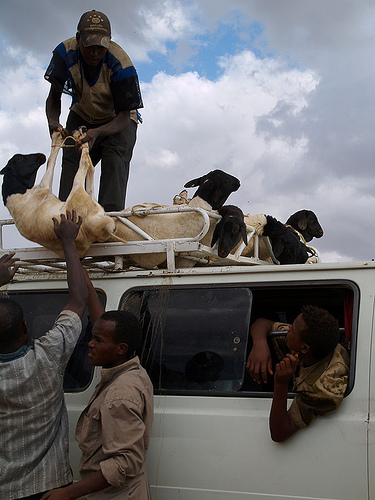 Well, a look at the following shelters from around the world (all found via a Flickr Creative Commons search) might change your mind. 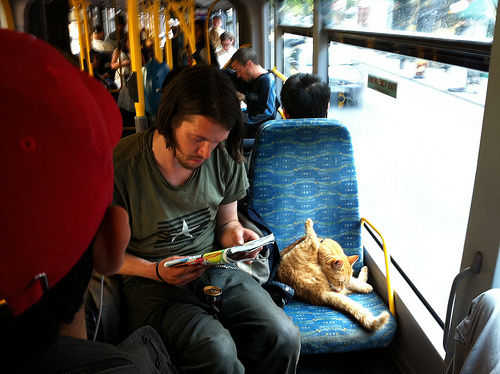 I’m not suggesting that you request similar modifications to your local bus stop via FixMyTransport. 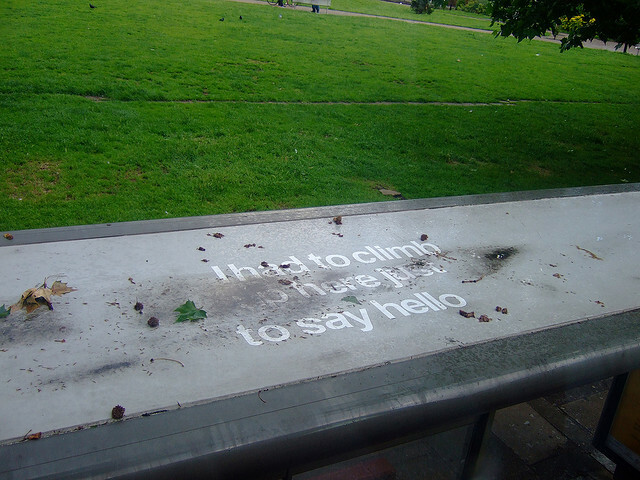 But I think there’s a valid point here to be made about how public spaces can be playful – perhaps if there’s a new bus shelter being commissioned in your area, that would be the time to ask the council to explore some more adventurous options. And if you’re short of ideas, well, read on. 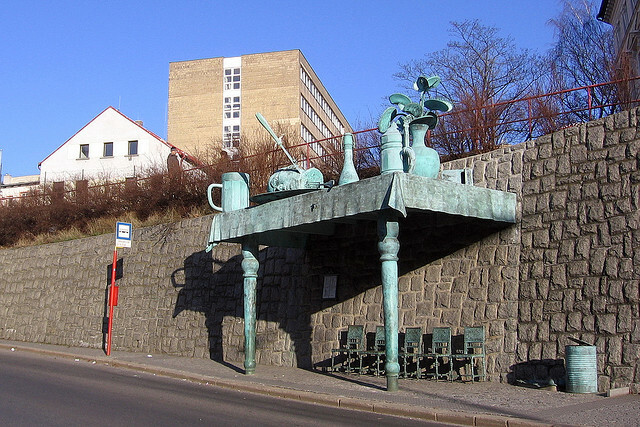 Bronze Bus stop by Vlasta Juricek This remarkable bus shelter, reminiscent of Jack and the Beanstalk, is in Liberec in the Czech Republic and was created in 2005 by the sculptor David Černý. I like the way that it can obviously also be appreciated from the path running above it. And now that I’ve seen the potential of waiting for a bus underneath a giant’s table, the bog-standard shelters in my own neck of the woods seem curiously unsatisfactory. 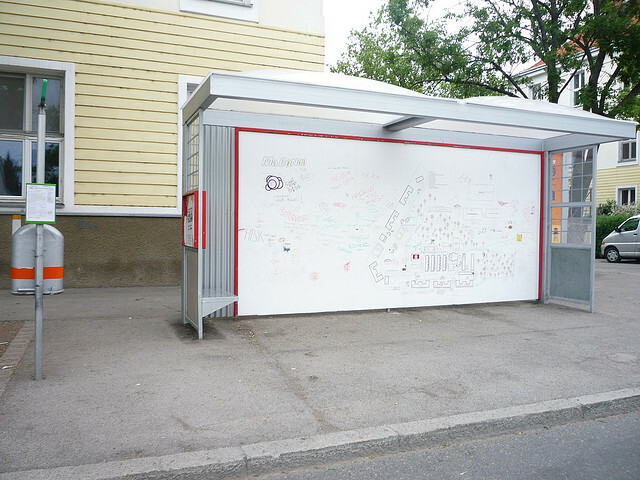 Macondo Bus Stop by Kidz Connect It may not look much at first glance, but this shelter on the outskirts of Vienna, Austria, encapsulates many of the same ideals as FixMyTransport. For a start, it was campaigned for by local residents who felt cut off from the city centre. 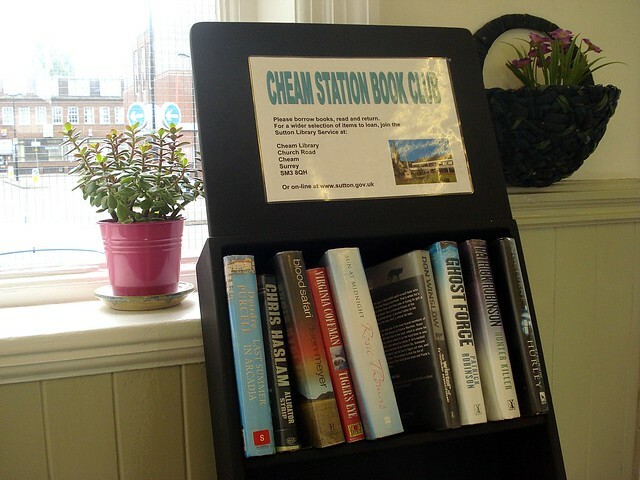 It contains a map of the local area, on a whiteboard to encourage additions and comments from local people. The idea is that they might help first-time travellers find their way – just as we hope FixMyTransport allows people to get friendly advice from other users. More about the social art project here. 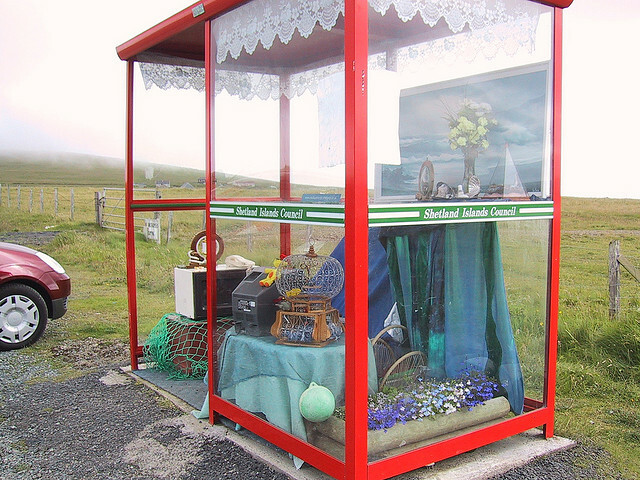 Unst Bus Shelter by Birdfarm Unst bus shelter on the Shetland Isles is pretty famous – it’s won awards and even has its own website. 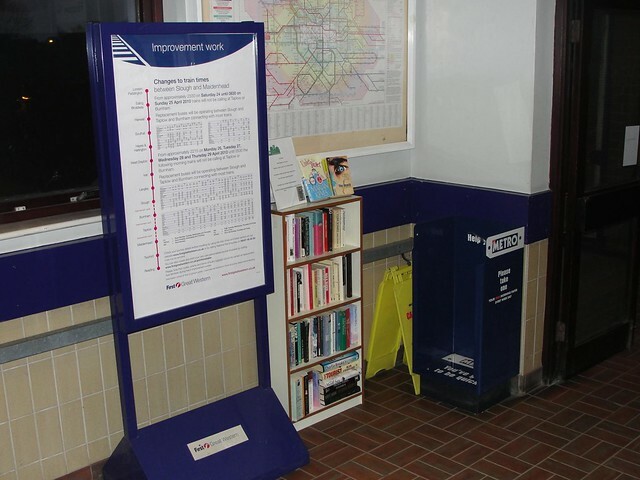 Again, there are parallels to be drawn with FixMyTransport, since the shelter was first constructed when a seven-year-old wrote to the local paper to ask whether the roof could be repaired on the previous, rusting one. 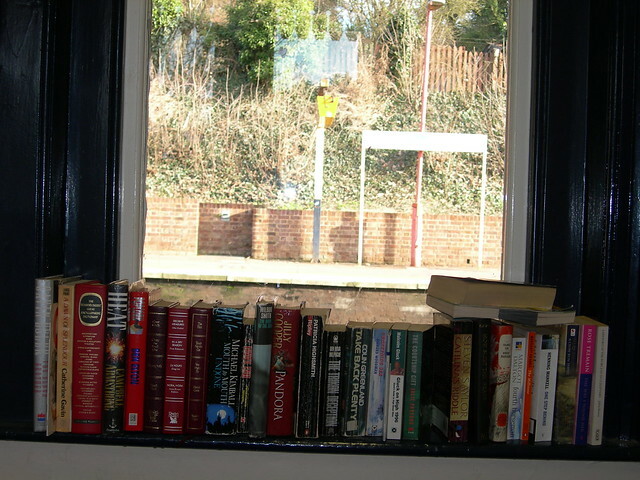 Still feeling satisfied with your own local bus shelter? Mind you, you might not feel so well-disposed to all that clutter if it starts tipping down with rain, and there are more than a couple of people needing shelter. See also the work of Mick Sheridan, who upholsters chairs and puts them in remote rural bus shelters for the infirm and elderly. 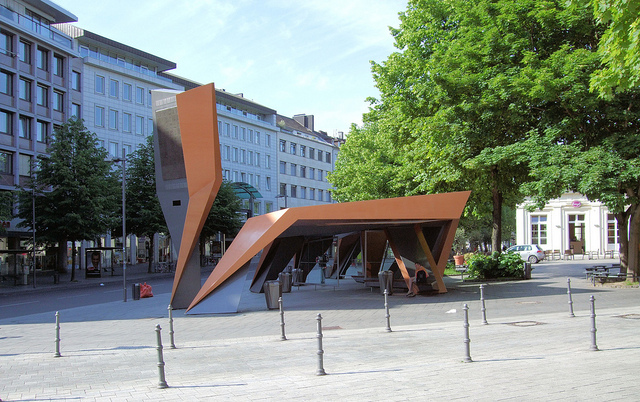 Bus shelter – Aachen, Germany, by Jim Linwood This one is public art, as well as a practical shelter that you can see clearly out of to check whether your bus is arriving. It even features in the Phaidon Atlas of Contemporary World Architecture – and apparently it’s used as a climbing frame by local kids, as well as for shelter. The screen on the left displays the time, and local news stories. Room for something like this on your high street? 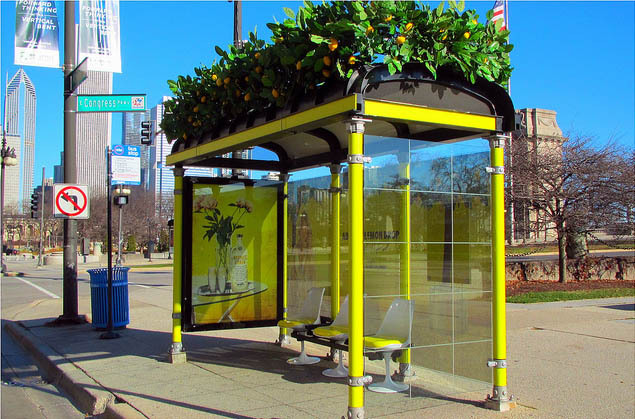 Sophisticated transit stop in Chicago by Clarkmaxwell We’re all used to seeing adverts on our urban bus shelters, but a couple of years ago, Absolut Vodka took the idea a step further by giving a series of Chicago bus stops a complete makeover. The one above is my personal favourite, but the one featuring thrones outside the opera house is a close second. Message on a bus shelter, by HoxtonChina Seems there’s a whole genre of art that can only be seen from the top of a double-decker bus. There are messages like this one, and a few years back, a series of strange, spiky sputnik-like objects. 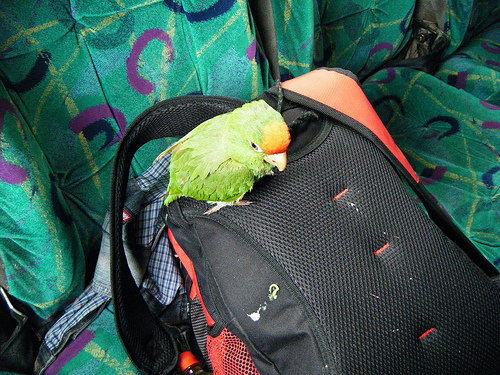 The former would seem to emanate from a group named Bus.Tops. While we’re all comfortable with the idea of council-commissioned art cheering up a dreary bus shelter, I suspect that many would be a bit more nervous when it comes to guerrilla art. 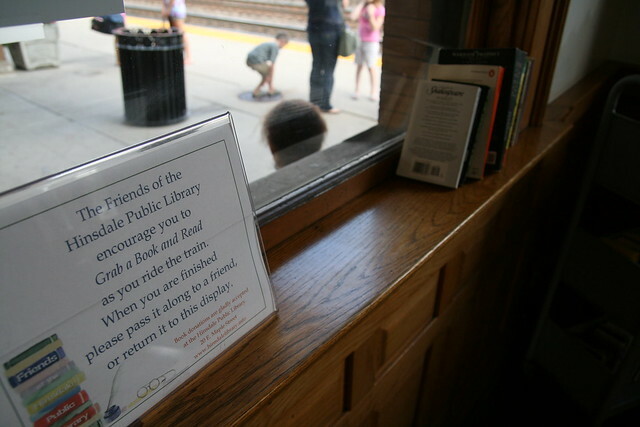 But this project uses spaces that most people will never notice, and adds a little surprise into a boring commute for those who do – does it do any harm? 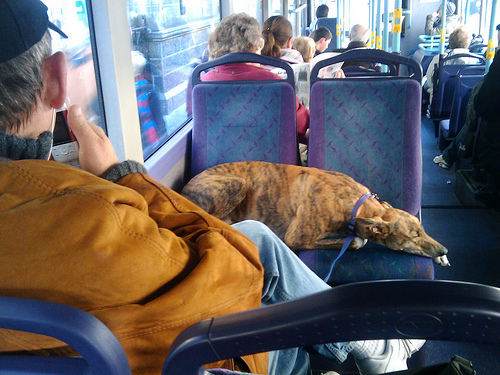 The photographer of this image handily geotagged it, so I can identify its page on FixMyTransport too. No-one’s complained, so does that mean no-one minds this sort of thing? See also: green roofs for bus shelters and stations – an environmental use for this under-used spot. 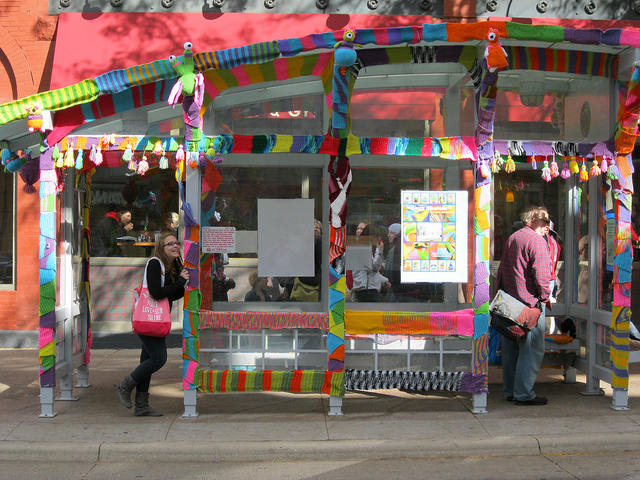 Giulia and the bus people by Aine D in Madison, Wisconsin. Heard of yarnbombing? It’s the beautification of the environment around you, via the medium of wool. Again, not always officially-sanctioned, it certainly cheers up a dull, grey bus stop. 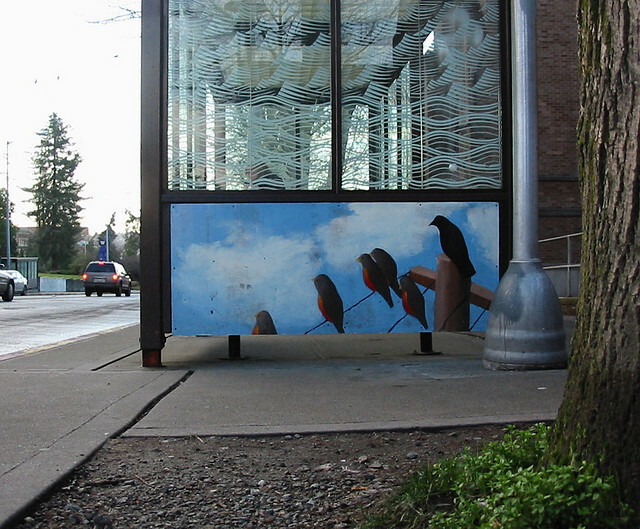 Birds on a Wire by Serakatie shows a bus shelter in Seattle. If not for the bird painting, you couldn’t really class this as ‘unusual’: that sand-blasted wave pattern seems to be prevalent on bus shelters around the western world. Not that I’m complaining: it’s a nice piece of jaunty graphic design that has the air of a very adept woodcut. Bus shelter Auckland by Anne Beaumont Here’s a slightly more distinctive example of the same technique. 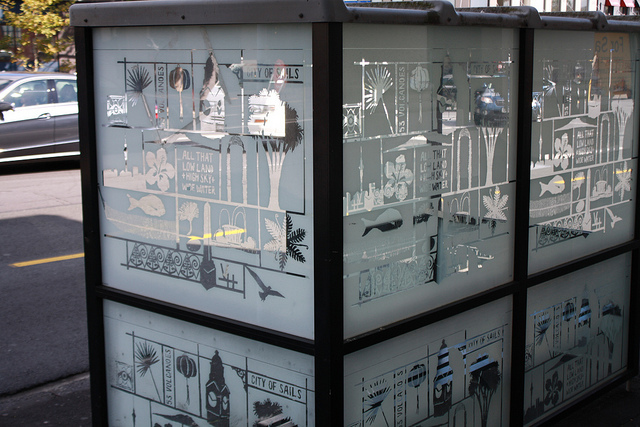 I imagine this sort of decoration goes a long way towards discouraging vandalism and graffiti – and just as I’m all for every high street having its own character, I’d definitely vote for every bus shelter to be contributing to that local character. Bus Stops by Sam Kelly It’s hard to keep this list down to ten, but I’ll finish by picking a shelter from my own home town of Brighton. This stands for all bus shelters that have their own distinct architectural style, the more so if they echo their surroundings. In Brighton, the shelters along the Old Steine are all Deco like this, and very elegant they look too. Along the prom, we also have some wooden shelters that fit effortlessly into their surroundings. I suspect that their upkeep costs the council an arm and a leg, but their style is part of what makes Brighton different, and in some small way, I suspect they contribute to our tourist economy. Not enough bus shelters for you? I’ve put all these photos, and quite a few extra that I haven’t featured, in some Flickr galleries. 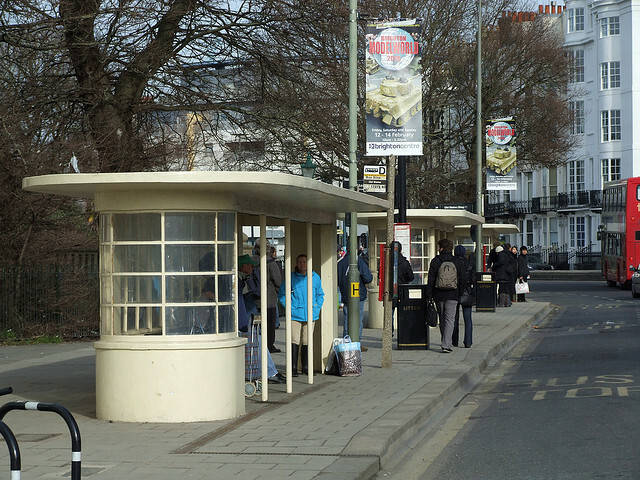 Is there a special or interesting bus shelter near you? Please do share in the comments. Something wrong with your local bus stop? Report it on FixMyTransport.com.